Imagine you received an invitation that is written in two languages: German and English. 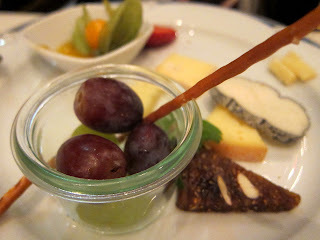 The German part of the invitation – “einladen zu einem Imbiss” - invites you to a kind of aperitif with small bites. In English “a drink” would be just a drink without any food. Additionally, you should also write “invite for a drink” as it’s a bit more usual. It’s amazing how guests could interpret this invitation. Guests who understand German would expect drinks and food. Poor guests who don’t understand German would think they are invited for a drink! Well, let’s correct the English text of the invitation. My suggestion: “einladen zu einem Imbiss” = “invite to drinks and nibbles“. Would does “invite for a drink” mean to you? How would you translate “einladen zu einem Imbiss”?